Three new vessels with ice-breaking capabilities, helicopter and longer sailing range will be built simultaneously. Norway has nearly 2 million square kilometres of waters, or seven times larger than its mainland. The fleet of coast guard vessels have multiple tasks, including fishery inspections, search- and rescue, territorial guarding and oil-spill preparedness. With melting sea ice in the northern Barents Sea and Arctic Ocean north of Svalbard, more commercial shipping, naval activities and fisheries start to sail in waters not earlier accessible. 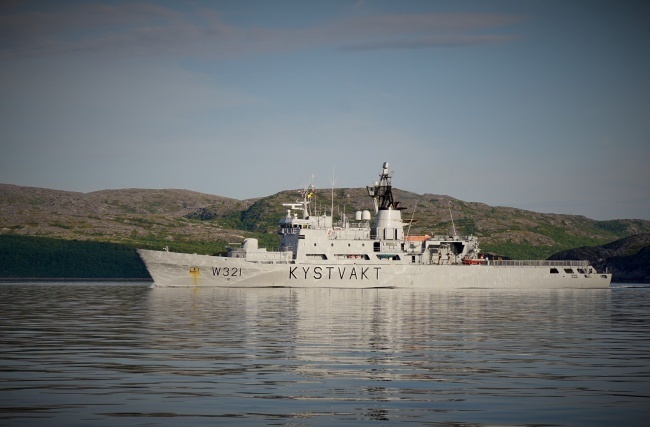 On Thursday, Prime Minister Erna Solberg and Defence Minister Ine Eriksen Søreide proudly announced that Norway will not only order one, but three at a time, new Coast Guard vessels. “It is no need to argue that the Coast Guard is essential. It is a part of Norway’s ability to take care of large coastal areas and we do need an updated and good fleet to continue that job,” says Prime Minister Erna Solberg. Each of the three new vessels comes with a price tag of up to 2 billion Norwegian kroner (€221 million), and the vessels will be built together at a Norwegian yard. The three vessels will replace the 30 years old North Cape class today consisting of the vessels “Nordkapp”, “Senja” and “Andenes”. Details on the design are not yet in place, but the Government says the vessels will have ice-breaking capabilities and on-board helicopter. 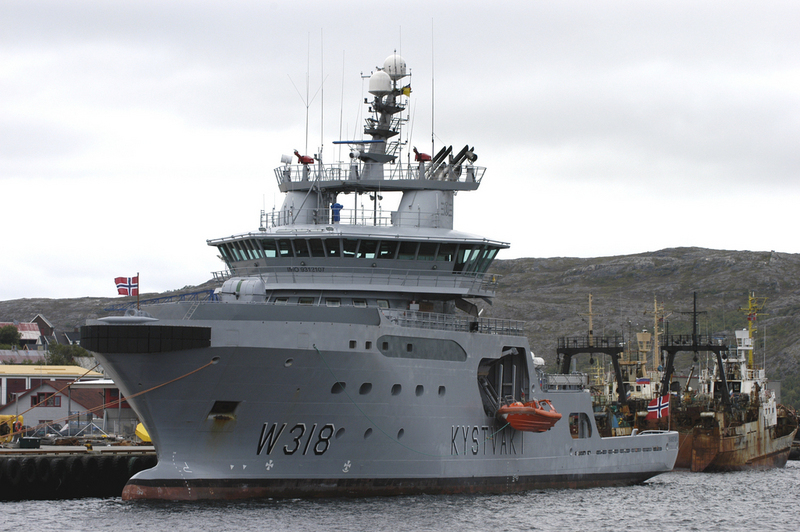 The Norwegian Coast Guard has a fleet of 15 vessels and have its main base at Sortland in northern Norway. “The Coast Guard are on duty, always, in all kinds of weather. It is incredibly important for Norway and a vital part of the Norwegian Armed Forces. This new acquisitions will continue to keep the Coast Guard operational and that is good news,” says Defence Minister Ine Eriksen Søreide. This September, sea ice on the top of the world melted to second lowest on record. Not only is more waters ice free, but also the still existing sea ice is thinner and has more cracks, telling the story that more of it is likely to melt next summer. Since open water absorbs more heat than reflecting white ice, temperatures rise. Barents Observer recently told the story about 4 degrees Celsius warmer water than normal in the part of the Arctic currently not covered by ice.